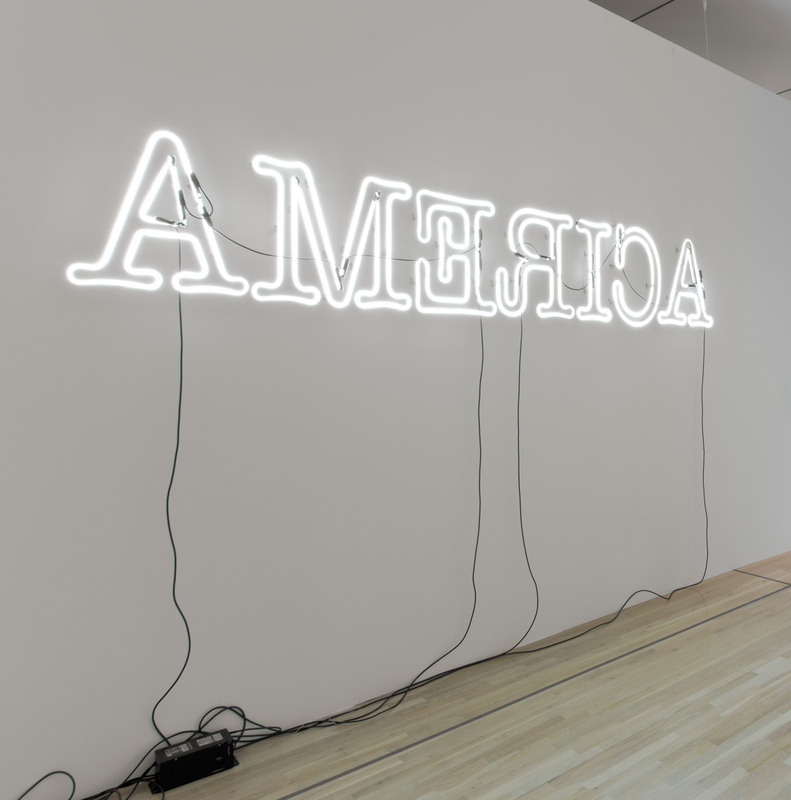 Rückenfigur is from a group of neon works by Glenn Ligon that spell out the word America, using this motif to explore the dualities found in contemporary society. Because the letters A, I, and M in the word AMERICA are symmetrical, we initially read the word normally before it registers that the letters have in fact been reversed to face the wall. The work takes its title from a German art historical term for a landscape painting that includes a figure seen from behind. Like the figure in one of these historical paintings, the viewer seems to be both implicated in the work and standing on the outside. "Rückenfigur." Take It or Leave It: Institution, Image, Ideology Digital Archive. Los Angeles: Hammer Museum, 2017. https://​hammer.ucla.edu/​take-it-or-leave-it/​art/​rueckenfigur/​.